CLarke Mayer came to Viva Design Studio with his vision to create a new kind of school: Less textbook, more doing. 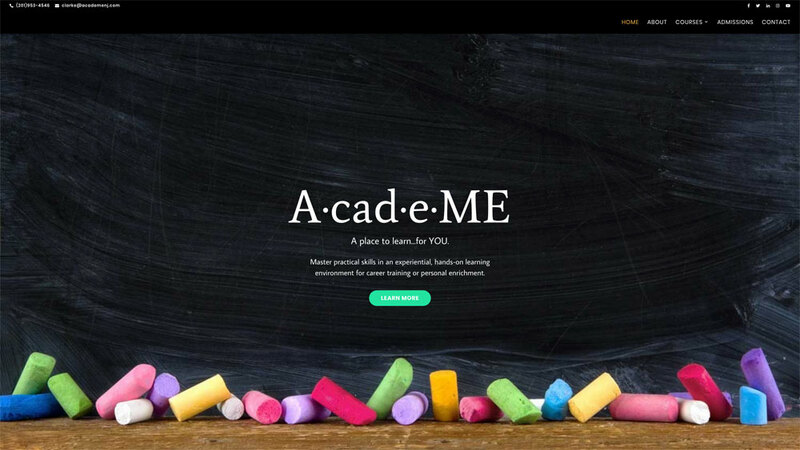 Clarke felt that some skills are best learned hands-on, and that is the focus of his new school, A·cad·e·ME NJ. Viva Design Studio used a color-coded design to differentiate the department offerings–from visual arts to culinary to tech– and uniformly used these identifying colors throughout the site.